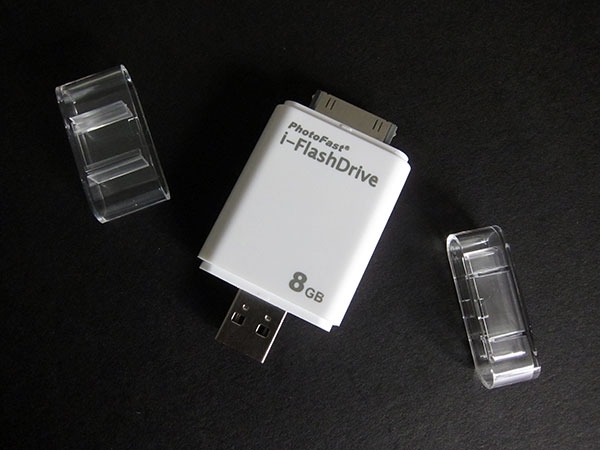 "Though the product's official name is i-FlashDrive for iPhone ($99-$192), PhotoFast's packaging notes that this white glossy flash drive is also compatible with the iPod touch and iPad as well." It appears this is a great little device to get files from your computer onto your i-device. You can get them in capacities from 8GB to 32GB and simple plug in the USB end to your computer, transfer the files, then plug it into your iPhone, iPad or iPod Touch and transfer the files. Simple.